00:30 Angadi, Shri Suresh Chanabasappa ,Chaudhury, Shri Jitendra ,Kodikunnil, Shri Suresh ,Koshyari, Shri Bhagat Singh ,Paswan, Shri Chhedi ,Raj, Smt. Krishna ,Sethi, Shri Arjun Charan ,Trivedi, Shri Dinesh , To consider and adopt draft Action Taken Report. 01:00 Angadi, Shri Suresh Chanabasappa ,Choudhary, Shri Ram Tahal ,Gopal, Dr. K. ,Paswan, Shri Chhedi ,Raj, Smt. Krishna ,Sethi, Shri Arjun Charan ,Trivedi, Shri Dinesh , To hear the views of Ms Rita Kunur regarding non implementation of the decision of Appointments Committee of Cabinet(ACC)(ii)To discuss the Action Taken on the recommendations made by the Committee on Petitions (15th Lok Sabha) in their Seventh Report on the representation of Ms Rita Kunur regarding non implementation of the decision of Appointments Committee of Cabinet (ACC). 01:30 Chaudhury, Shri Jitendra ,Choudhary, Shri Ram Tahal ,Gopal, Dr. K. ,Kodikunnil, Shri Suresh ,Koshyari, Shri Bhagat Singh ,Paswan, Shri Chhedi ,Raj, Smt. Krishna , To take oral evidence of the representatives of the Ministry of Home Affairs on the representation from Shri MP Baloni and forwarded by Smt Mala Rajya Lakshmi Shah MP Lok Sabha alleging harassment and inaction on the part of Delhi Police (ii)To take oral evidence of the representatives of the Ministry of Civil Aviation on the representation received from Shri Javed Pandit regarding implementation of wage revision in Centaur Lake View Hotel Srinagar. 01:15 Angadi, Shri Suresh Chanabasappa ,Chaudhury, Shri Jitendra ,Choudhary, Shri Ram Tahal ,Gopal, Dr. K. ,Koshyari, Shri Bhagat Singh ,Paswan, Shri Chhedi , Trivedi, Shri Dinesh , (i) To hear the views of Dr. Kirit Somaiya, MP, Lok Sabha who countersigned and presented the Petition of S/Shri Madhu Kotian and Jitesh Mataliya regarding horrible situation of Mumbai sub-urban trains causing dozens of deaths and injuries due to higher distance between platforms and coaches of local trains(ii) To take oral evidence of the representatives of the Ministry of Labour & Employment on the representation received from Shri Swapan Kumar Ghosal regarding amendment to the Act governing the working condition of contract labourers. 01:00 Chaudhury, Shri Jitendra ,Choudhary, Shri Ram Tahal ,Gopal, Dr. K. ,Koshyari, Shri Bhagat Singh ,Paswan, Shri Chhedi , Raj, Smt. Krishna ,Trivedi, Shri Dinesh ,Paswan, Shri Kamlesh , To take oral evidence of the representatives of the Ministry of Steel on the representation of Shri Saurabh Kumar seeking employment in SAIL on compassionate ground(ii)To adopt the draft Action Taken Report on the recommendations made by the Committee on Petitions 14th Lok Sabha in their Forty Fourth Report on the representation received from Prof SP Singh regarding alleged irregularities in selection of fellowships by the Nehru Memorial Museum and Library Delhi. 00:30 Chaudhury, Shri Jitendra ,Choudhary, Shri Ram Tahal ,Gopal, Dr. K. ,Koshyari, Shri Bhagat Singh ,Raj, Smt. Krishna ,Trivedi, Shri Dinesh ,Vichare, Shri Rajan Baburao , To take oral evidence of the representatives of the Ministry of Railways (Railway Board) on the representation received from Shri Jiten Sundi and forwarded by Sh. Jitendra Chaudhary, MP, Lok Sabha regarding extension of BG lines to Tezpur Railway station. 01:00 Choudhary, Shri Ram Tahal ,Gopal, Dr. K. ,Koshyari, Shri Bhagat Singh ,Paswan, Shri Chhedi , Raj, Smt. Krishna ,Trivedi, Shri Dinesh ,Paswan, Shri Kamlesh , To take oral evidence of the representatives of the Ministry of Rural Development on the representation received from Shri Bishnu Charan Swain regarding: Provision of Special Package to Small and Marginal farmers of Jagatsinghpur, Odisha for construction of cyclone and fire-proof houses.To consider and adopt the following draft Action Taken Reports:(i) Action Taken Report on the recommendations made by the Committee on Petitions (15th Lok Sabha) in their Thirty Second Report on the representation signed by Shri Anandrao Adsul and Smt. Bhavana Gawli, MPs Lok Sabha regarding Conversion of narrow gauge railway line Yawatmal-Murtizapur-Achalpur-Pulgaon into Broad Guage. (ii) Action Taken Report on the recommendations made by the Committee on Petitions (15th Lok Sabha) in their Thirteenth Report on the representation received from Shri Dilip Gandhi, MP, Lok Sabha regarding: the issue of right of passage to villagers of Nagardeole- Bhingar through Defence Land occupied by Basic Training Regiment (BTR), Armoured Corps Centre, Ahmednagar. 00:30 Angadi, Shri Suresh Chanabasappa ,Chaudhury, Shri Jitendra ,Choudhary, Shri Ram Tahal ,Koshyari, Shri Bhagat Singh ,Paswan, Shri Chhedi ,Vichare, Shri Rajan Baburao , Consideration And Adoption of Draft Seventh and Eighth Reports of the Committee. 01:00 Chaudhury, Shri Jitendra ,Gopal, Dr. K. ,Kodikunnil, Shri Suresh ,Koshyari, Shri Bhagat Singh ,Paswan, Shri Kamlesh ,Vichare, Shri Rajan Baburao , Oral evidence of the representatives of Ministry of Civil Aviation on the representation of Shri Amit Roy General Secretary Alliance Air Employees Union forwarded by Shri Jitendra Choudhary MP Lok Sabha alleging disparity in pay and allowances with the parent company and amelioration of their other services conditions. 01:00 Gopal, Dr. K. ,Koshyari, Shri Bhagat Singh ,Paswan, Shri Chhedi ,Paswan, Shri Kamlesh ,Sethi, Shri Arjun Charan ,Trivedi, Shri Dinesh , (i) To consider Memorandum No.2 regarding the working of the Committee on Petitions. (ii) To have briefing by the representatives of the Ministry of Tribal Affairs on the representation received from Shri Sai Sampath highlighting encroachment of Forest land in country. 00:30 Chaudhury, Shri Jitendra ,Choudhary, Shri Ram Tahal ,Gopal, Dr. K. ,Koshyari, Shri Bhagat Singh ,Trivedi, Shri Dinesh ,Vichare, Shri Rajan Baburao , To hear the views of Shri Sai Sampath, the petitioner in connection with examination of his representation highlighting encroachment of Forest Land in country and issues related therewith. 00:30 Chaudhury, Shri Jitendra ,Koshyari, Shri Bhagat Singh ,Sethi, Shri Arjun Charan ,Trivedi, Shri Dinesh ,Vichare, Shri Rajan Baburao , (i)Draft Report on the representation received from Shri M. Sai Sampath regarding implementation of the Scheduled Tribes and other Traditional Dwellers (Recognition of Forest Rights) Act, 2006 in the Country and other important issues related therewith. (ii) Draft Report on the representation received from Shri Bishnu Charan Swain regarding: Provision of Special Package to Small and Marginal farmers of Jagatsinghpur, Odisha for construction of cyclone and fire-proof houses. 01:30 Chaudhury, Shri Jitendra ,Choudhary, Shri Ram Tahal ,Gopal, Dr. K. ,Koshyari, Shri Bhagat Singh ,Paswan, Shri Chhedi ,Trivedi, Shri Dinesh ,Raj, Smt. Krishna ,Yadav, Shri Dharmendra , (i)To hear the views of the Petitioner, Shri Yogender Singh Negi, General Manager, M/s. M.S. Vigilant Security Placement & Detective Services (Pvt.) Ltd., New Delhi. (ii)To take oral evidence of the representatives of the Ministries of Health & Family Welfare and Labour & Employment on the representation dated 24.06.2015 of M/s. M.S. Vigilant Security, Placement & Detective Services (Pvt.) Ltd. forwarded by Shri Ajay Tamta, MP, Lok Sabha, regarding non-payment towards security services by the management of Lady Hardinge Medical College (LHMC) in respect of Smt. Suchita Kriplani Hospital Shaheed Bhagat Singh Marg, New Delhi. 01:00 Angadi, Shri Suresh Chanabasappa ,Chaudhury, Shri Jitendra ,Choudhary, Shri Ram Tahal ,Koshyari, Shri Bhagat Singh ,Paswan, Shri Chhedi ,Vichare, Shri Rajan Baburao i)To hear the views of the Petitioner Shri P. N. Surendran Nair General Secretary Cochin Refineries Employees Association on the representation regarding - Violation of Department of Public Enterprises guidelines by BPCL. (ii)To take oral evidence of the representatives of the Ministry of Petroleum & Natural Gas on the representation received from Shri P. N. Surendran Nair General Secretary Cochin Refineries Employees Association regarding - Violation of Department of Public Enterprises guidelines by BPCL(iii)Adoption of Report on the representation of Shri Amit Roy General Secretary Alliance Air Employees Union and forwarded by Shri Jitendra Choudhary M.P. Lok Sabha alleging disparity in pay and allowances of the employees vis-a-vis Air India and improving other services conditions thereof. 01:30 Chaudhury, Shri Jitendra ,Koshyari, Shri Bhagat Singh ,Paswan, Shri Chhedi ,Raj, Smt. Krishna ,Trivedi, Shri Dinesh , Oral evidence of the representatives of the Ministry of Law & Justice on the representation of Shri SS Kaushal regarding demand and grievances for affordable and fast justice. 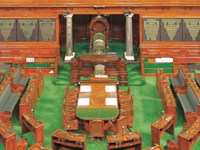 01:30 Angadi, Shri Suresh Chanabasappa ,Birla, Shri Om ,Choudhary, Shri Ram Tahal ,Koshyari, Shri Bhagat Singh ,Paswan, Shri Chhedi ,Trivedi, Shri Dinesh ,Vichare, Shri Rajan Baburao ,Chaudhury, Shri Jitendra , 1.To take oral evidence of the representatives of the Ministry of Finance (Department of Revenue) on the representation received from Shri Manish Jain for quoting PAN for transaction made for the purchase of jewellery. 2.To discuss the Petition of Shri Akhilesh Kumar Jha forwarded by Shri Om Prakash Yadav, MP, Lok Sabha regarding medical reforms in the country.3. To consider and adopt the draft Action Taken Report on the recommendations made by the Committee on Petitions (16th Lok Sabha), in their First Report, on the representation received from Shri Rinku Aggarwal, General Secretary, All Indian Railway Vendors Association, regarding arbitrary closure of stalls/trolleys of 9 commission vendors at New Delhi Railway Station. 01:00 Choudhary, Shri Ram Tahal ,Gopal, Dr. K. ,Kodikunnil, Shri Suresh ,Koshyari, Shri Bhagat Singh ,Paswan, Shri Chhedi ,Raj, Smt. Krishna ,Trivedi, Shri Dinesh , Oral evidence of the representatives of the Ministry of Railways (Railway Board) on the Petition of S/Shri Madhu Kotian and Jitesh Mataliya countersigned and presented by Dr. Kirit Somaiya MP Lok Sabha regarding Horrible situation of Mumbai sub-urban trains resulting into deaths and injuries due to higher distance between platforms and coaches of local trains. 01:00 Angadi, Shri Suresh Chanabasappa ,Choudhary, Shri Ram Tahal ,Paswan, Shri Chhedi ,Raj, Smt. Krishna ,Sethi, Shri Arjun Charan ,Koshyari, Shri Bhagat Singh Oral evidence of the representatives of the Ministry of Heavy Industries and Public Enterprises on the representations of Shri Ghanshyam Bairwa forwarded by Shri Om Birla, MP, Lok Sabha and Smt. Meenakshi Borkar regarding non–payment of arrears of pension and full salary to the employees/retired employees of Instrumentation Limited, Kota. 00:30 Angadi, Shri Suresh Chanabasappa ,Birla, Shri Om ,Choudhary, Shri Ram Tahal ,Koshyari, Shri Bhagat Singh ,Trivedi, Shri Dinesh ,Vichare, Shri Rajan Baburao , Further discussion on the suggestions/views received pursuant to the Press Communiqué inviting views/suggestions on the Petition presented by Sh. Om Prakash Yadav MP Lok Sabha regarding Medical Reforms in the Country.To consider and adopt the following draft Reports: (i) Draft report on the Petition of S/Shri Madhu Kotian and Jitesh Mataliya forwarded by Dr Kirit Somaiya MP Lok Sabha regarding horrible situation of Mumbai suburban trains causing deaths and injuries due to higher distance between platforms and coaches of local trains. (ii) Draft report on the representation of Shri S.S. Kaushal, General Secretary, Forum for Fast Justice regarding affordable and speedy justice in the country. (iii) Draft report on the representation of Shri Manish Jain regarding quoting of Permanent Account Number (PAN) for transactions made for the purchase of bullion or jewellery. (iv) Draft report on the representation of M/s. M.S. Vigilant Security Placement & Detective Services (Pvt) Ltd forwarded by Shri Ajay Tamta MP Lok Sabha regarding non- release of payment towards security services by the management of Lady Hardinge Medical College (LHMC) in respect of Smt Sucheta Kriplani Hospital Shaheed Bhagat Singh Marg New Delhi(v) Draft report on the representation of Shri P. N. Surendran Nair, General Secretary Cochin Refineries Employees Association regarding violation of Department of Public Enterprises guidelines by the Bharat Petroleum Corporation Limited. (vi) Action Taken Report on the recommendations made by the Committee on Petitions (16th Lok Sabha) in their Ninth Report on the representation received from Shri M Sai Sampath regarding implementation of the Scheduled Tribes and Other Traditional Forest Dwellers (Recognition of Forest Rights) Act 2006 in the country and other important issues related therewith. (vii) Action Taken Report on the recommendations made by the Committee on Petitions (16th Lok Sabha) in their Tenth Report on the representation received from Shri Bishnu Charan Swain regarding provision of special package to the small and marginal farmers of Jagatsinghpur Odisha for construction of cyclone and fire-Proof houses. To consider representations letters etc received from various individuals associations etc. 01:00 Chaudhury, Shri Jitendra ,Choudhary, Shri Ram Tahal ,Kodikunnil, Shri Suresh ,Koshyari, Shri Bhagat Singh ,Paswan, Shri Chhedi ,Sethi, Shri Arjun Charan ,Trivedi, Shri Dinesh ,Vichare, Shri Rajan Baburao , (i) To consider Memorandum No.1 regarding the working of the Committee on Petitions, Lok Sabha. (ii) To hear the views of Shri Nishikant Dubey MP Lok Sabha on the Petition presented by him regarding opening up of a new All India Institute of Medical Sciences (AIIMS) at Deoghar Jharkhand. (iii) To take oral evidence of the representatives of the Ministries of Health & Family Welfare and Finance on the Petition of S/Shri Lakhan Turi and Mahendra Prasad Kushwaha and countersigned by Shri Nishikant Dubey MP Lok Sabha regarding opening up of a new All India Institute of Medical Sciences (AIIMS) at Deoghar Jharkhand. (iv)Status of examination/scrutiny of representations, letters, etc., received from various individuals, associations, etc., from 1 August, 2016 onwards. 01:00 Birla, Shri Om ,Chaudhury, Shri Jitendra ,Choudhary, Shri Ram Tahal ,Paswan, Shri Chhedi ,Paswan, Shri Kamlesh , Oral evidence of the representatives of the Ministry of Defence on the representation from Brig. 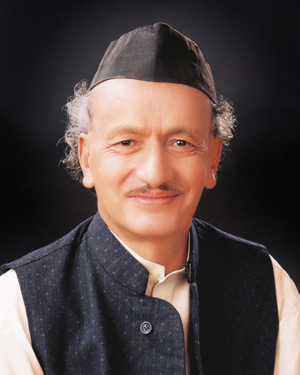 N. B. Singh (Retd.) forwarded by Shri Devendra (alias) Bhole Singh, MP, Lok Sabha, regarding conferment on Param Vir Chakra to Late Major Mohan Singh martyred in 1965 Indo-Pak war. 01:00 Chaudhury, Shri Jitendra ,Choudhary, Shri Ram Tahal ,Koshyari, Shri Bhagat Singh ,Paswan, Shri Chhedi ,Trivedi, Shri Dinesh ,Vichare, Shri Rajan Baburao , i To hear the views of Shri Bhartruhari Mahtab MP Lok Sabha on the Petition presented by him regarding request for construction of underpass/flyover at Sikharpur Square Cuttack Odisha ii To take oral evidence of the representatives of the Ministry of Road Transport & Highways on the Petition of Shri Prasana Kumar Mohanty and others presented by Shri Bhartruhari Mahtab MP Lok Sabha regarding the request for construction of underpass/flyover at Sikharpur Square Cuttack Odisha. iii To consider and adopt the following draft Reports: a Action Taken by the Government on the recommendations made by the Committee on Petitions (16th Lok Sabha) in their Seventh Report on the Representation received from S/Shri Javed Pandit and Harish regarding implementation of the wage revision in the Centaur Lake View Hotel Srinagar/HCI b Action Taken by the Government on the recommendations made by the Committee on Petitions (16th Lok Sabha) in their Eighth Report on the Representation received from Shri Saurabh Kumar regarding employment in CCSO/SAIL Dhanbad on compassionate grounds.c Draft Report on the Representation of Shri Ghanshyam Bairwa forwarded by Shri Om Birla MP Lok Sabha and Smt. Meenakshi Borkar regarding non-payment of arrears of pension and full salary to the employees/retired employees of the Instrumentation Ltd Kota d Draft Report on the Petition of S/Shri Lakhan Turi and Mahendra Prasad Kushwaha presented by Shri Nishikant Dubey MP Lok Sabha regarding opening up of a new All India Institute of Medical Sciences (AIIMS) at Deogarh Jharkhand e Draft Report on the Representation of Shri Sapan Kumar Ghosal regarding amendment to the Contract Labour (Regulation & Abolition) Act 1970-governing the working conditions of Contract Labourers iv Status of examination/scrutiny of representations letters etc received from various individuals associations etc from the first week of September 2016 onwards. 01:30 Angadi, Shri Suresh Chanabasappa ,Birla, Shri Om ,Chaudhury, Shri Jitendra ,Choudhary, Shri Ram Tahal ,Gopal, Dr. K. ,Joshi, Shri C. P. ,Koshyari, Shri Bhagat Singh ,Paswan, Shri Kamlesh ,Trivedi, Shri Dinesh , (i) To hear the views of Shri Bhartruhari Mahtab MP Lok Sabha on the Petition presented by him asking for the construction of an underpass/flyover at Sikharpur Square Cuttack Odisha. (ii) Briefing by the Ministry of Chemicals & Fertilizers (Department of Fertilizers) on the Representations received from Shri Sunil Shrestha forwarded by Shri Mahendra Singh Mahra, M.P. Rajya Sabha and Shri Yashwant Singh Negi regarding non-payment of commission amount by M/s Indian Potash Limited - a State Trading Enterprise- to M/s. Mili Mili Enterprises, a duly Authorised Agency appointed by M/s Indian Potash Limited. (iii)To have briefing by the representatives of the Ministry of Health and Family Welfare on the Petition received from Shri Om Prakash Yadav MP Lok Sabha, regarding Medical Reforms in the Country and suggestions received from various stakeholders thereon. (iv)Status of examination/scrutiny of Representations letters etc received from various Individuals Associations etc from the last week of December 2016 onwards. 00:30 Angadi, Shri Suresh Chanabasappa ,Chaudhury, Shri Jitendra ,Choudhary, Shri Ram Tahal ,Joshi, Shri C. P. ,Koshyari, Shri Bhagat Singh Consideration and adoption of Nine Draft Reports. 01:00 Chaudhury, Shri Jitendra ,Choudhary, Shri Ram Tahal ,Koshyari, Shri Bhagat Singh ,Paswan, Shri Kamlesh ,Trivedi, Shri Dinesh ,Vichare, Shri Rajan Baburao Further briefing by the representatives of the Ministry of Chemicals & Fertilizers (Department of Fertilizers) on the Representations received from Shri Sunil Shrestha forwarded by Shri Mahendra Singh Mahra, M.P., Rajya Sabha and Shri Yashwant Singh Negi regarding non-payment of commission amount by M/s. Indian Potash Limited - a State Trading Enterprise- to M/s. Mili Mili Enterprises, a duly Authorised Agency appointed by M/s. Indian Potash Limited. 01:30 Angadi, Shri Suresh Chanabasappa ,Choudhary, Shri Ram Tahal ,Joshi, Shri C. P. ,Koshyari, Shri Bhagat Singh ,Paswan, Shri Chhedi ,Trivedi, Shri Dinesh , (i)Further briefing by the representatives of the Ministry of Chemicals & Fertilizers (Department of Fertilizers) on the Representations received from Shri Sunil Shrestha forwarded by Shri Mahendra Singh Mahra, M.P., Rajya Sabha and Shri Yashwant Singh Negi regarding non-payment of commission amount by M/s Indian Potash Limited - a State Trading Enterprise- to M/s Mili Mili Enterprises, a duly Authorised Agency appointed by M/s. Indian Potash Limited. (ii) Oral evidence of the representatives of the Ministry of Heavy Industries & Public Enterprises (Department of Heavy Industry) on the representation received from Shri Ram Sharan Kantiwal regarding payment of salary to the employees of HMT Pinjore and to restart its Tractor Unit. (iii)Status of examination/scrutiny of Representations, letters, etc. received from various Individuals, Associations etc. from the first week of January, 2017 onwards. 01:30 Chaudhury, Shri Jitendra ,Choudhary, Shri Ram Tahal ,Gopal, Dr. K. ,Koshyari, Shri Bhagat Singh ,Vichare, Shri Rajan Baburao ,Kodikunnil, Shri Suresh Oral evidence of the representatives of the Ministry of External Affairs and the Ministry of Home Affairs on the representation received from Shri T.K. Kaul father of Ms. Parul Kaul regarding inordinate delay on extradition of Shri Rajnesh Kaul, husband of Ms. Parul Kaul for subjecting her to cruelty, criminal breach of trust, acts done in furtherance of common intention, etc. Briefing by the representatives of the Ministry of Steel on the representation received from Shri Raj Kumar Verma regarding serious manufacturing defect in material supplied by the Steel Authority of India Limited (SAIL) leading to severe physical injuries to the people and ecological hazards in Himachal Pradesh. 01:00 Gopal, Dr. K. ,Koshyari, Shri Bhagat Singh ,Paswan, Shri Chhedi ,Paswan, Shri Kamlesh ,Trivedi, Shri Dinesh ,Vichare, Shri Rajan Baburao To hear the views of Shri Raj Kumar Verma Chief Executive Officer Sai Engineering Foundation, on his representation alleging serious manufacturing defect in the material supplied by the Steel Authority of India Limited (SAIL) leading to severe physical injuries to the people and ecological hazards in Himachal Pradesh. Oral evidence of the representatives of the Ministry of Steel on the representation of Shri Raj Kumar Verma alleging serious manufacturing defect in the material supplied by the Steel Authority of India Limited (SAIL) leading to severe physical injuries to the people and ecological hazards in Himachal Pradesh. 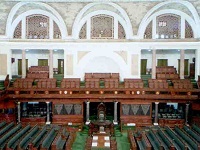 01:15 Angadi, Shri Suresh Chanabasappa ,Birla, Shri Om ,Chaudhury, Shri Jitendra ,Choudhary, Shri Ram Tahal ,Joshi, Shri C. P. ,Koshyari, Shri Bhagat Singh ,Paswan, Shri Chhedi ,Paswan, Shri Kamlesh ,Trivedi, Shri Dinesh ,Vichare, Shri Rajan Baburao , Oral evidence of the representatives of the Ministry of Coal on the following representations of Shri Subhash Kumar Singh regarding:-(i) Gross financial irregularities by the Bharat Coking Coal Limited Authorities in terms of making payment to M/s. Mahalakshmi Infra Contract Private Limited, without completion of the work; and (ii) Payment of full contracted amount by the Bharat Coking Coal Limited to M/s. Sadbhav, Annapurna (JV) without completion of the work. 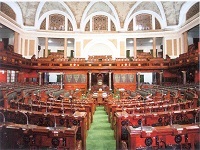 (i) Consideration and adoption of the draft Report on the Petition received from Shri Prasana Kumar Mohanty and others forwarded by Shri Bhartruhari Mahtab, M.P., Lok Sabha regarding construction of a new underpass/flyover at Sikharpur Square Cuttack, Odisha; and (ii) Status of examination/scrutiny of Representations, letters, etc., received from various Individuals, Associations, etc., from the first week of July, 2017 onwards. 01:40 Angadi, Shri Suresh Chanabasappa ,Birla, Shri Om ,Chaudhury, Shri Jitendra ,Choudhary, Shri Ram Tahal ,Gopal, Dr. K. ,Joshi, Shri C. P. ,Koshyari, Shri Bhagat Singh ,Paswan, Shri Chhedi ,Paswan, Shri Kamlesh ,Trivedi, Shri Dinesh ,Vichare, Shri Rajan Baburao , To consider Memorandum No.1 regarding the working of the Committee on Petitions, Lok Sabha. Oral evidence of the representatives of the Ministry of Defence (Department of Defence Production) on the representation received from Shri D. Shivamurti forwarded by Shri Suresh Angadi, M.P., Lok Sabha, regarding violation of DoPT/DPE Guidelines by Hindustan Aeronautics Limited and other related issues. Oral evidence of the representatives of the Ministry of Railways (Railway Board) on the Representation received from Shri Jiten Sundi and others forwarded by Shri Jitendra Chaudhary, M.P., Lok Sabha regarding extension of BG lines to Tezpur Railway station. 01:30 Angadi, Shri Suresh Chanabasappa ,Choudhary, Shri Ram Tahal ,Gopal, Dr. K. ,Joshi, Shri C. P. ,Koshyari, Shri Bhagat Singh ,Paswan, Shri Chhedi ,Trivedi, Shri Dinesh ,Vichare, Shri Rajan Baburao , Further discussion with the representatives of the Ministry of Health & Family Welfare on the Representation of Shri Sanjay Bechan regarding saving the livelihood of millions of tobacco farmers, labourers employed in Kevda and Mentha farming/tobacco industry and harmonization of definition of Food, under the Food Safety and Standards Act, 2006. Consideration and adoption of the following draft Action Taken Reports:- (i) Action Taken by the Government on the recommendations of the Committee on Petitions made in their Fourteenth Report (16th Lok Sabha) on the Representation of Shri S.S. Kaushal regarding speedy and affordable justice in the country; and (ii) Action Taken by the Government on the recommendations of the Committee on Petitions made in their Twenty-Sixth Report (16th Lok Sabha) on the Representation of Shri Vijendra Rawat forwarded by Smt. Mala Rajya Lakshmi Shah, M.P., Lok Sabha regarding deployment of rural/local youths in the Disaster Management Team in Uttarakhand. 01:40 Chaudhury, Shri Jitendra ,Choudhary, Shri Ram Tahal ,Gopal, Dr. K. ,Koshyari, Shri Bhagat Singh ,Trivedi, Shri Dinesh ,Vichare, Shri Rajan Baburao , Oral evidence of the representatives of the Ministry of Human Resource Development (Department of Higher Education) on the Representation of Shri Satyendra Singh forwarded by Shri Vinod Sonkar, M.P., Lok Sabha regarding condition of higher education in the country with special reference to Guru Ghasidas Central University. Consideration and adoption of the following draft Action Taken Reports:-(i) Action Taken by the Government on the recommendations of the Committee on Petitions made in their Twenty-Seventh Report (16th Lok Sabha) on the Representation of Shri Arvind Sawant, M.P., Lok Sabha regarding improvement in services provided by the Bharat Sanchar Nigam Limited (BSNL) and the Mahanagar Telephone Nigam Limited (MTNL) ; and (ii) Action Taken by the Government on the recommendations of the Committee on Petitions made in their Twenty-Ninth Report (16th Lok Sabha) on the Representation of Shri C. L. Kapoor, Secretary, Imperial Bank of India Pensioners Association regarding submergence of Imperial Bank of India (IBI) Pension Scheme into SBI Pension Scheme and alleged misappropriation of IBI Pension Fund by the State Bank of India. 01:40 Birla, Shri Om ,Choudhary, Shri Ram Tahal ,Gopal, Dr. K. ,Joshi, Shri C. P. ,Kodikunnil, Shri Suresh ,Koshyari, Shri Bhagat Singh ,Paswan, Shri Chhedi ,Trivedi, Shri Dinesh , (i) To hear the views of the following Experts/Individuals/Institutions/ Organisations and other stakeholders on the Petition of Shri Akhilesh Kumar Jha and presented by Shri Om Prakash Yadav, M.P., Lok Sabha regarding Medical Reforms in the Country:- (1)	Dr. A. Najeerual Ameen, All India Foreign Medical Graduates Association, Chennai. (2) Dr. Keshav Kumar Agarwal, Rohilkhand Medical College & Dental College, Bareilly, Uttar Pradesh. (3) Dr. R.R. Shinde, G.S. Medical College & K.E.M. Hospital, Mumbai. (4) Dr. K.K. Aggarwal, IMA House, New Delhi. (5) Dr. Jayshree Mehta, Medical Council of India, New Delhi. (6) Dr. Yojana Gokhale, LTM Medical College, Mumbai. (7) Dr. Prabha Subhash Yadav, Tata Memorial Hospital, Mumbai. (ii) Status of examination/scrutiny of Representations, letters, etc., received from various Individuals, Associations, etc., from the first week of September, 2017. 01:50 Birla, Shri Om ,Gopal, Dr. K. ,Joshi, Shri C. P. ,Kodikunnil, Shri Suresh ,Koshyari, Shri Bhagat Singh ,Sethi, Shri Arjun Charan ,Trivedi, Shri Dinesh ,Vichare, Shri Rajan Baburao , Briefing by the representatives of the Ministry of Information & Broadcasting on the Representation of S/Shri C.P. Joshi and Om Birla, MPs, Lok Sabha inter-alia requesting to impose a ban on the release of film Padmavati. Consideration and adoption of the following draft Reports :-(i) Draft Report on the Representation received from Brig. N.B. Singh (Retd.) forwarded by Shri Devendra Singh Bhole, M.P., Lok Sabha, regarding conferment of Param Vir Chakra on Late Major Mohan Singh martyred in 1965 Indo-Pak War and (ii) Draft Report on the Action Taken by the Government on the recommendations made by the Committee on Petitions (Sixteenth Lok Sabha) in their Thirtieth Report on the Representation received from Shri Rajendra Prasad regarding alleged collusion of high profile people, industrialists with bank officials in getting sanctioned large amount of Bank Loans resulting into growing Non-Performing Assets (NPAs). 01:45 Birla, Shri Om ,Gopal, Dr. K. ,Chaudhury, Shri Jitendra ,Joshi, Shri C. P. ,Kodikunnil, Shri Suresh ,Paswan, Shri Chhedi ,Paswan, Shri Kamlesh ,Trivedi, Shri Dinesh ,Vichare, Shri Rajan Baburao , To hear the views of Shri Uday Muni Ji Maharaj on his Representation regarding amendment in the Indian Penal Code, 1860 for making Santhara as a non-offence. (i) Briefing by the representatives of the Ministry of Home Affairs on the Representation received from Shri Uday Muni Ji Maharaj regarding amendment in the Indian Penal Code, 1860 for making Santhara as a non-offence. (ii) Status of examination/scrutiny of Representations, letters, etc., received from various Individuals, Associations, etc., from the last week of November, 2017 onwards. 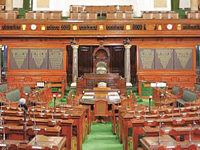 01:00 Angadi, Shri Suresh Chanabasappa ,Birla, Shri Om ,Chaudhury, Shri Jitendra ,Choudhary, Shri Ram Tahal ,Gopal, Dr. K. ,Kodikunnil, Shri Suresh ,Koshyari, Shri Bhagat Singh ,Paswan, Shri Chhedi ,Trivedi, Shri Dinesh Oral evidence of the representatives of the Ministry of Heavy Industries and Public Enterprises (Department of Heavy Industry) on the Representation received from Shri Madhuban Yadav and others and forwarded by Shri Ram Tahal Choudhary, M.P., Lok Sabha regarding non-payment of wage revision arrears to the retired employees of Heavy Engineering Corporation Limited (HECL), Ranchi and other related issues. Consideration and adoption of the following Draft Reports:- (i) Draft Report on the Representation received from Shri Subhash Kumar Singh alleging gross financial irregularities by the Bharat Coking Coal Limited (BCCL) Authorities in terms of making payment to M/s Mahalaxmi Infra Contract Private Limited without completion of the work. (ii) Draft Report on the Representation received from Shri D. Shivamurti and forwarded by Shri Suresh Angadi, M.P., Lok Sabha alleging violation of Department of Personnel & Training/Department of Public Enterprises (DoPT/DPE) Guidelines by the Hindustan Aeronautics Limited. (iii) Draft Report on the Action Taken by the Government on the recommendations made by the Committee on Petitions (Sixteenth Lok Sabha) in their Thirty-First Report on the Representation received from S/Shri Arvind Sawant and Rajan Vichare, M.Ps., Lok Sabha regarding transformation/privatization of IDBI Bank Limited and protection of reservation rights of SC/ST/OBC employees and related issues. (iv) Draft Report on the Action Taken by the Government on the recommendations of the Committee on Petitions made in their Thirty-Third Report (Sixteenth Lok Sabha) regarding mechanism for providing reservation to Scheduled Castes and Scheduled Tribes in the Bharat Petroleum Corporation Limited (BPCL) with reference to the Representation received from Shri V. P. Balwatkar. (ii) Status of examination/scrutiny of Representations, letters, etc., received from various Individuals, Associations, etc., from the first week of February, 2018 onwards. 01:45 Chaudhury, Shri Jitendra ,Choudhary, Shri Ram Tahal ,Koshyari, Shri Bhagat Singh ,Paswan, Shri Chhedi ,Vichare, Shri Rajan Baburao (1) To hear the views of the Office Bearers of the Nainital Bank Officers Association on their Representation regarding proposed sale of the Nainital Bank Limited - a Subsidiary of the Bank of Baroda, in the guise of Digital Venture. 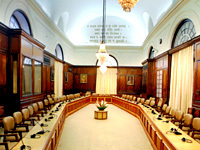 (2) Oral evidence of the representatives of the Ministry of Finance (Department of Financial Services) on the Representation received from Ms. Nisha Kamath and the Office Bearers of the Nainital Bank Officers Association regarding proposed sale of the Nainital Bank Limited - a Subsidiary of the Bank of Baroda in the guise of Digital Venture. (3) Consideration and adoption of the following Draft Reports:- (i) Draft Report on the Representation received from Shri Subhash Kumar Singh regarding payment of full contracted amount by the Bharat Coking Coal Limited (BCCL) to M/s. Sadhbhav Anapurna (JV) without completion of the work. (ii) Draft Report on the Representation received from Shri T.K. Kaul father of Ms. Parul Kaul regarding inordinate delay in extradition of Shri Rajnesh Kaul, husband of Ms. Parul Kaul for subjecting her to cruelty, criminal breach of trust, acts done in furtherance of common intention. (4) Status of examination/scrutiny of Representations letters etc. received from various Individuals Associations etc. from 6th April 2018 onwards. 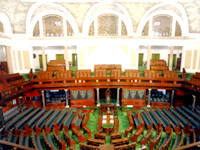 01:00 Angadi, Shri Suresh Chanabasappa ,Chaudhury, Shri Jitendra ,Choudhary, Shri Ram Tahal ,Koshyari, Shri Bhagat Singh ,Paswan, Shri Chhedi ,Vichare, Shri Rajan Baburao ,Yadav, Shri Dharmendra , Oral evidence of the representatives of the Ministry of Health & Family Welfare and the Ministry of Labour & Employment on the Representation of Shri Sanjay Bechan regarding saving the livelihood of millions of tobacco farmers, labourers employed in Kevda and Mentha farming/tobacco industry and harmonization of definition of Food, under the Food Safety and Standards Act, 2006.Consideration and adoption of the following Draft Reports:-(i) Draft Report on the Representation received from S/Shri Ram Sharan Kantiwal and Mahender Singh regarding payment of salary to the employees of HMT, Pinjore and to restart its Tractor Unit;(ii) Draft Report on the Representation received from Shri Jiten Sundi and others and forwarded by Shri Jitendra Chaudhury, M.P., Lok Sabha regarding extension of broad gauge line to Tezpur Railway Station; (iii) Draft Report on Action Taken by the Government on the recommendations of the Committee on Petitions made in their Twenty-Fifth Report (Sixteenth Lok Sabha) on the Representation of Dr. Madhusudan Dixit regarding provision of Quality Education in the country and other important issues therewith; and (iv) Draft Report on Action Taken by the Government on the recommendations of the Committee on Petitions made in their Twenty-Eighth Report (Sixteenth Lok Sabha) on the Representation of Shri D.K. Joshi regarding alleged neglect of the Human Immunodeficiency Virus (HIV)/Acquired Immunodeficiency Syndrome (AIDS) patients in the country. 01:30 Birla, Shri Om ,Chaudhury, Shri Jitendra ,Choudhary, Shri Ram Tahal ,Joshi, Shri C. P. ,Koshyari, Shri Bhagat Singh ,Paswan, Shri Chhedi ,Trivedi, Shri Dinesh ,Vichare, Shri Rajan Baburao i Further discussion with the representatives of the Ministry of Steel on the Representation of Shri Raj Kumar Verma regarding serious manufacturing defect in the material supplied by the Steel Authority of India Limited (SAIL) leading to severe physical injuries to the people and ecological hazards in Himachal Pradesh. ii Further discussion with the representatives of the Ministry of Heavy Industries & Public Enterprises (Department of Heavy Industry) on the Representation of Shri Madhuban Yadav and others forwarded by Shri Ram Tahal Choudhary, M.P., Lok Sabha regarding non-payment of Wage Revision Arrears to the retired employees of Heavy Engineering Corporation Limited (HECL), Ranchi and other related issues.iii Status of examination/scrutiny of Representations, letters, etc., received from various Individuals, Associations, etc. from the first week of July, 2018 onwards. 02:00 Chaudhury, Shri Jitendra ,Choudhary, Shri Ram Tahal ,Gopal, Dr. K. ,Koshyari, Shri Bhagat Singh ,Paswan, Shri Chhedi , To hear the views of Shri Suresh Srivastava on his Representation regarding extensive theft of motor vehicles in Delhi. ii Oral evidence of the representatives of the Ministry of Home Affairs on the Representation of Shri Suresh Srivastava forwarded by Shri R. K. Sinha, M.P. Rajya Sabha regarding extensive theft of motor vehicles in Delhi.iii To hear the views of Shri Satish Kumar Singh on his Representation regarding his reinstatement in Central School for Tibetan (CST) under Central Tibetan Schools Administration (CTSA).iv Briefing by the representatives of the Ministry of Human Resource Development (Department of Higher Education) on the Representation of Shri Satish Kumar Singh requesting for his reinstatement in Central School for Tibetan (CST) under Central Tibetan Schools Administration (CTSA). v Consideration and adoption of the following Draft Reports a Action Taken by the Government on the recommendations made by the Committee on Petitions (Sixteenth Lok Sabha) in their Twenty-Fourth Report on the Representation of Shri Sapan Kumar Ghosal regarding amendment to the Contract Labour (Regulation & Abolition) Act, 1970 governing the working conditions of Contract Labourers and (b)Action Taken by the Government on the recommendations made by the Committee on Petitions (Sixteenth Lok Sabha) in their Thirty-Second Report on the Representation of Shri Pragya Priya Rahul regarding strengthening of mechanism for grievance redressal of the customers of the Indian Oil Corporation Limited (IOCL).vi Status of examination/scrutiny of Representations letters etc received from various Individuals Associations etc from the third week of August 2018 onwards. 00:45 Chaudhury, Shri Jitendra ,Choudhary, Shri Ram Tahal ,Gopal, Dr. K. ,Koshyari, Shri Bhagat Singh ,Trivedi, Shri Dinesh ,Paswan, Shri Chhedi , (i) Consideration and adoption of the following Draft Reports (a) Action Taken by the Government on the recommendation made by the Committee on Petitions (Sixteenth Lok Sabha) in their Eleventh Report on the Representation received from Shri Amit Roy, General Secretary Alliance Air Employees Union and forwarded by Shri Jitendra Choudhary M.P. Lok Sabha alleging disparity in Pay and Allowances of the employees vis-a-vis Air India and improving other service conditions thereof and (b)	Action Taken by the Government on the recommendation made by the Committee on Petitions (Sixteenth Lok Sabha) in their Forty-Fifth Report on the Representation received from Brigadier N. B. Singh (Retd.) forwarded by Shri Devendra Singh Bhole M.P. Lok Sabha regarding conferment of Param Vir Chakra on Late Major Mohan Singh, martyred in the Indo-Pak war of 1965 and other issues related therewith. (ii) Status of examination/scrutiny of Representations letters etc. received from various Individuals Associations etc. from the first week of October 2018 onwards. 01:00 Angadi, Shri Suresh Chanabasappa ,Chaudhury, Shri Jitendra ,Choudhary, Shri Ram Tahal ,Joshi, Shri C. P. ,Paswan, Shri Chhedi ,Koshyari, Shri Bhagat Singh ,Vichare, Shri Rajan Baburao , (i) Consideration and adoption of the following Draft Reports (a) Representation received from Shri Madhuban Yadav and others forwarded by Shri Ram Tahal Choudhary, M.P., Lok Sabha regarding non-payment of arrears to the retired employees of Heavy Engineering Corporation Limited (HECL), Ranchi (b) Representation received from Shri Satyendra Singh forwarded by Shri Vinod Sonkar, M.P., Lok Sabha regarding condition of higher education in the country with special reference to Guru Ghasidas Vishwavidyalaya, Bilaspur, Chhattisgarh and (c) Representation received from Ms. Nisha Kamath and other office bearers of Nainital Bank Officers Association regarding proposed sale of Nainital Bank Limited - a subsidiary of the Bank of Baroda, in the guise of Digital Venture. (ii) Status of examination/scrutiny of Representations, letters, etc. received from various Individuals, Associations, etc. from the first week of November, 2018 onwards. 01:30 Angadi, Shri Suresh Chanabasappa ,Chaudhury, Shri Jitendra ,Choudhary, Shri Ram Tahal ,Koshyari, Shri Bhagat Singh ,Paswan, Shri Chhedi ,Trivedi, Shri Dinesh ,Vichare, Shri Rajan Baburao , (i)To hear the views of Shri Arvind Sawant M.P. Lok Sabha on his Representation requesting to review his case of premature resignation from MTNL and other related issues (ii) Oral evidence of the representatives of the Ministry of Communications (Department of Telecommunications) and the Ministry of Personnel, Public Grievances & Pensions (Department of Personnel & Training and Department of Pension & Pensioners Welfare on the Representation of Shri Arvind Sawant M.P. Lok Sabha requesting to review his case of premature resignation from MTNL and other related issues (iii) Further oral evidence of the representatives of the Ministry of Steel on the Representation of Shri Raj Kumar Verma regarding serious manufacturing defect in the material supplied by the Steel Authority of India Limited (SAIL) leading to severe physical injuries to the people and ecological hazards in Himachal Pradesh and (iv) Status of examination/scrutiny of Representations letters etc. received from various Individuals Associations etc. from the second week of December 2018 onwards. 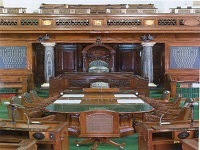 01:00 Angadi, Shri Suresh Chanabasappa ,Birla, Shri Om ,Chaudhury, Shri Jitendra ,Choudhary, Shri Ram Tahal ,Koshyari, Shri Bhagat Singh ,Paswan, Shri Chhedi ,Trivedi, Shri Dinesh ,Vichare, Shri Rajan Baburao , Consideration and adoption of the following Draft Reports i Report on the Representation of Shri Arvind Sawant, MP Lok Sabha requesting to review of his case of premature resignation from MTNL and other related issues; ii	Report on the Representation of Shri Suresh Srivastava forwarded by Shri RK Sinha MP Rajya Sabha regarding extensive theft of Motor Vehicles in Delhi iii	Report on the Representation of Shri Satish Kumar Singh requesting for his reinstatement in the Central School for Tibetan (CST) functioning under the Central Tibetan Schools Administration (CTSA) and iv Action Taken Report on the Action Taken by the Government on the recommendations made by the Committee on Petitions (Sixteenth Lok Sabha) in their Fifty Third Report on the Representation of S/Shri Ram Sharan Kantiwal and Mahender Singh regarding payment of salary to the employees of HMT, Pinjore and to restart its Tractor Unit. 2. Status of examination/scrutiny of Representations, Letters, etc., received from various Individuals, Associations, etc. from the first week of January, 2019 onwards. 01:30 Chaudhury, Shri Jitendra ,Gopal, Dr. K. ,Choudhary, Shri Ram Tahal ,Koshyari, Shri Bhagat Singh ,Trivedi, Shri Dinesh ,Yadav, Shri Dharmendra , i Oral evidence of the representatives of the Ministry of Health and Family Welfare on the Representation of Shri Anil Sharma regarding prevalence of deplorable conditions under the Vaccination Programme in the country ii Briefing by the representatives of the Ministry of Labour and Employment on the Representation of Dr Mrs Seema requesting to rescind her transfer orders by showing compassion to a Mother of a child suffering from Autism Compliance of the Ministry of Personnel Public Grievances and Pensions Department of Personnel and Training OM No 42011 3 2014 Estt Res dated 8.10.2018 on exemption from the routine exercise of transfer rotational transfer iii Consideration and adoption of draft Report on the Representation of Shri Sanjay Bechan regarding saving the livelihood of millions of tobacco farmers labourers employed in Kevda and Mentha farming tobacco industry and harmonization of definition of Food under the Food Safety and Standards Act 2006 and iv Status of examination scrutiny of Representations Letters etc received from various Individuals Associations etc from the First week of February 2019 onwards. 1 27 to 29 August, 2018 Angadi, Shri Suresh Chanabasappa ,Choudhary, Shri Ram Tahal ,Joshi, Shri C. P. ,Koshyari, Shri Bhagat Singh ,Paswan, Shri Chhedi ,Paswan, Shri Kamlesh ,Trivedi, Shri Dinesh ,Vichare, Shri Rajan Baburao , Mount Abu, Chittorgarh and Udaipur (i) Informal discussion with the representatives of the Ministry of Finance (Department of Financial Services) on the Representation of Shri Chirag Panchal regarding inadequate number of Automated Teller Machines (ATMs) installed in Mount Abu and other important issues related therewith. (ii) Informal discussion with the representatives of the Ministry of Culture on the Representation of Shri Pinkesh Kumar Jain regarding conservation of Chittorgarh Fort and other important issues related therewith. (iii)Informal discussion with the representatives of the Ministry of Petroleum & Natural Gas on the Representation of Shri Abhinav D. Purohit regarding the status of implementation of Pradhan Mantri Ujjwala Yojana (PMUY) in Udaipur and other important issues related therewith. 2 21 to 24 May, 2018 Chaudhury, Shri Jitendra ,Gopal, Dr. K. ,Koshyari, Shri Bhagat Singh ,Paswan, Shri Chhedi,Trivedi, Shri Dinesh , Nainital, Ranikhet, Kausani and Almora. i Informal discussion with the representatives of the Ministry of Finance Department of Financial Services on the Representation of Ms Nisha Kamath and other office bearers of Nainital Bank Officers Association regarding proposed sale of Nainital Bank Limited Subsidiary of the Bank of Baroda in the guise of Digital Venture.ii Informal discussion with the representatives of the Ministry of Finance Department of Financial Services on the Representation of Shri P.C.Nailwal regarding disbursal of loan under Pradhan Mantri Mudra Yojana PMMY in Uttarakhand.iii Informal discussion with the representatives of the Ministry of Tourism on the Representation of S/Shri Gopal Datt and Y.S. Negi regarding promotion of tourism in worlds most popular Supernatural and Mystical Destinations of Uttarakhand.iv Informal discussion with the representatives of the Ministry of Environment, Forests and Climate Change on the Representation of S/Shri Gopal Datt and Mahipal Singh regarding continuous increase in the incidents of Forest Fire in Uttarakhand Need for formulation of a long term Action Plan. 3 22 to 24 January, 2018. Angadi, Shri Suresh Chanabasappa ,Choudhary, Shri Ram Tahal ,Gopal, Dr. K. ,Kodikunnil, Shri Suresh ,Koshyari, Shri Bhagat Singh ,Paswan, Shri Kamlesh ,Trivedi, Shri Dinesh ,Vichare, Shri Rajan Baburao , Kochi and Lakshadweep (i) Held informal discussion with the representatives of the Ministry of Finance (Department of Financial Services) on the Representation of Shri G.Tirupati Rao regarding de-panelment of alleged corrupt and blacklisted TPAs by General Insurance PSUs. (ii) Held informal discussion with the representatives of the Ministry of Petroleum and Natural Gas on the Representations of S/Shri Arvind Kumar Singh and Shambhu Prasad Sinha regarding alleged archaic procedure followed by Oil Marketing Companies (OMCs) for allotment of LPG Distributorship and misuse of Quota meant for Reserved Categories in the Country with special reference to the Union Territory of Lakshadweep. (iii) Held informal discussion with the representatives of the Ministry of Tourism on the Representation of Shri Mahesh Kumar regarding potential for development of tourism and achievements there against in the Lakshadweep Islands and other related issues. 4 21 August to 25 August 2017 Chaudhury, Shri Jitendra ,Choudhary, Shri Ram Tahal ,Kodikunnil, Shri Suresh ,Koshyari, Shri Bhagat Singh ,Paswan, Shri Chhedi ,Paswan, Shri Kamlesh ,Trivedi, Shri Dinesh ,Vichare, Shri Rajan Baburao , Goa, Mumbai, Thiruvananthapuram (i)Held informal discussion with the representatives of the Ministry of Finance (Department of Financial Services) on the representation of Shri Ratnakar Wankhade, forwarded by Shri Jitendra Chaudhury, M.P., Lok Sabha regarding delay in extending Wage Revision by the IDBI Management. (ii)Held informal discussion with the representatives of the Ministry of Finance (Department of Financial Services) on the two representations of Shri Narayanprasad C. Patel regarding authorization of Life Insurance Corporation of India (LIC) data for private commercial purposes. (iii)Held informal discussion with the representatives of the Ministry of Civil Aviation on the representation of Shri Binda Prasad Sinha regarding termination of Aircraft Maintenance Engineering Course. (iv)Held informal discussion with the representatives of the Ministry of Mines on the representation of Shri Bhimadhar Khillo and others forwarded by Shri Bhartruhari Mahtab, M.P., Lok Sabha regarding rehabilitation, employment and compensation to the land losers on account of NALCO Projects in the country with special reference to NALCO Project at Damanjodi, Koraput, Odisha. (v)Held informal discussion with the representatives of the Ministry of Communications (Department of Posts) on the representation of Shri Satheesh Chandran Puttattu requesting to regularise Gramin Dak Sewaks (GDS) working in Post Offices throughout the country. 5 3 to 8 May 2017 Koshyari, Shri Bhagat Singh ,Chaudhury, Shri Jitendra ,Choudhary, Shri Ram Tahal ,Joshi, Shri C. P. ,Gopal, Dr. K. ,Kodikunnil, Shri Suresh ,Paswan, Shri Chhedi ,Trivedi, Shri Dinesh ,Vichare, Shri Rajan Baburao , Guwahati, Kolkata, Port Blair (i)Held informal discussion with the representatives of the Ministry of Railways on the representation of Shri Jiten Sundi and others and forwarded by Shri Jitendra Chaudhury, M.P., Lok Sabha regarding extension of Broad Gauge line from Dekargaon to Tezpur Railway Station. (ii)Held informal discussion with the representatives of the Ministry of Petroleum & Natural Gas on the representation of Shri Jitendra Chaudhury, M.P., Lok Sabha alleging black marketing of petroleum products in the North-Eastern States and other related issues. (iii)Held informal discussion with the representatives of the Ministry of Coal on the representation of Shri Subhash Kumar Singh alleging gross financial irregularities by the BCCL Authorities in terms of making payment to outsourced mining companies. (iv)Held informal discussion with the representatives of the Ministry of Coal on the representation of Shri Subhash Kumar Singh regarding payment of full contracted amount by the BCCL to an outsourcing company without completion of the work. (v)Held informal discussion with the representatives of the Ministry of Steel on the representation of Shri Deepak Kumar & others regarding implementation of their 11 points demand for displaced labours and peasants due to establishment of Bokaro Steel Plant and inclusion of displaced villagers of 19 villages of Northern Chas Bokaro in panchayat election. (vi)Held informal discussion with the representatives of the Ministry of Petroleum & Natural Gas on the representation of Shri Sunny Kumar regarding dispensing of less diesel by HPCL. (vii)Held informal discussion with the representatives of the Ministry of Home Affairs on the representation of Shri Tintus Surin regarding construction of pakka road in Baratang Islands, A&N Islands. (viii)Held informal discussion with the representatives of the Ministry of Human Resource Development on the representation of Shri Mahender Singh regarding formulation of Recruitment Rules of DIET teachers in Andaman & Nicobar Islands. 6 22 August to 26 August 2016 Koshyari, Shri Bhagat Singh ,Birla, Shri Om ,Choudhary, Shri Ram Tahal ,Chaudhury, Shri Jitendra ,Paswan, Shri Kamlesh ,Kodikunnil, Shri Suresh ,Vichare, Shri Rajan Baburao , Ooty, Kochi (i)Held informal discussion with the representatives of the Ministry of Finance (Department of Financial Services) and the State Bank of India on the representation of Shri C. L. Kapoor regarding submergence of Imperial Bank of India (IBI) Pension Scheme into SBI Pension Scheme and alleged misappropriation of IBI Pension Fund by the State Bank of India. (ii)Held informal discussion with the representatives of the Ministry of Finance (Department of Financial Services) and the State Bank of India on the representation of Shri Rajendra Prasad regarding alleged collusion of high profile people, industrialists and bank officials in sanctioning of large amount of bank loans resulting into growing NPAs. (iii)Held informal discussion with the representatives of the Ministry of Finance (Department of Financial Services) and IDBI Bank on the representation of Shri Arvind Sawant and Shri Rajan Vichare, MPs regarding transformation / privatisation of IDBI Bank and protection of reservation rights of SC/ST/OBC employees. (iv)Held informal discussion with the representatives of the Ministry of Petroleum & Natural Gas and the Indian Oil Corporation Ltd., on the representation of Shri Pragya Priya Rahul alleging cheating and dispensing of less oil by IOCL outlet and related issues. (v)Held informal discussion with the representatives of the Ministry of Petroleum & Natural Gas and the Bharat Petroleum Corporation Ltd., on the representation of Shri V. P. Balwatkar alleging discrimination of ST Employees by BPCL and related issues. 7 15 February to 19 February 2016 Koshyari, Shri Bhagat Singh ,Birla, Shri Om ,Choudhary, Shri Ram Tahal ,Gopal, Dr. K. ,Paswan, Shri Chhedi ,Raj, Smt. Krishna ,Trivedi, Shri Dinesh , Dehradun, Mussoorie, Chandigarh (i)Held informal discussion with the representatives of the Ministry of Human Resource Development on the representation received from Dr. Madhu Sudan Dixit regarding provision of quality education across the country and related issues. (ii) Held informal discussion with the representatives of the Ministry of Home Affairs on the representation received from Shri Vijendra Rawat forwarded by Smt. Mala Rajya Lakshmi Shah, M.P., Lok Sabha regarding deployment of rural / local youths in disaster management team in Uttrakhand. (iii)Held informal discussion with the representatives of the Ministry of Communications & IT (Department of Telecommunications) on the representation received from Shri Arvind Sawant, M.P. regarding poor services of MTNL & BSNL. (iv)Held informal discussion with the representatives of the Ministry of Health & Family Welfare on the representation received from Shri D. K. Joshi regarding alleged neglect of HIV+ patients by the Government and other related issues. (v)Held informal discussion with the representatives of the Ministry of Finance (Department of Revenue) on the representation received from Shri Manish Jain for quoting PAN for transactions made for purchase of jewellery. 8 16 May, 2015 to 20 May, 2015 Birla, Shri Om ,Chaudhury, Shri Jitendra ,Choudhary, Shri Ram Tahal ,Gopal, Dr. K. ,Kodikunnil, Shri Suresh ,Koshyari, Shri Bhagat Singh ,Paswan, Shri Chhedi ,Raj, Smt. Krishna ,Trivedi, Shri Dinesh ,Vichare, Shri Rajan Baburao , Srinagar, Mumbai (i) Representation received from S/Shri Javed Pandit and Harish regarding non implementation of wage revision in Hotel Corporation of India HCI/Centaur Lake View Hotel, Srinagar. (ii) Representation received from Shri B.R Patil regarding rehabilitation of flood affected Central Government Employees at Mukundagar, Pune. (iii) Petition received from S/Shri Madhu Kotian and Jitesh Mataliya countersigned and presented to the House by Dr. Kirit Somaiya, MP Lok Sabha regarding-Horrible situation of Mumbai suburban Trains causing dozen of deaths and injuries due to higher distance between platforms and coaches of local trains.